So it's all come down to this. After weeks of twists and turns, questions and theories it's time for the Line of Duty finale which I rightly theorised last week would be a thrilling ride. Going in, I wondered whether all this year's mysteries would be wrapped up and for the most part they were. 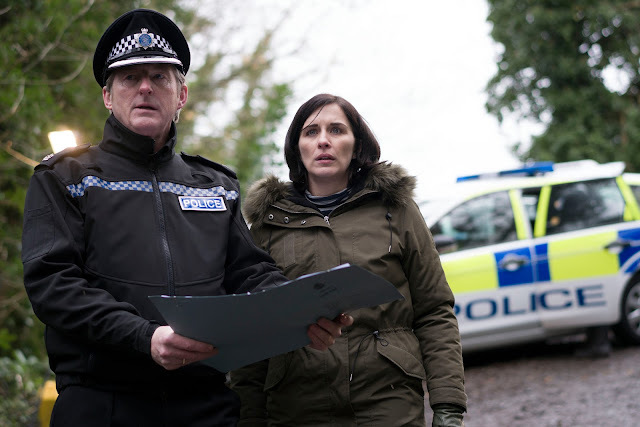 But, during this series finale, the drama's creator Jed Mercurio already seemed to be laying down several plot threads that would be picked up in Line of Duty's already-announced series five. 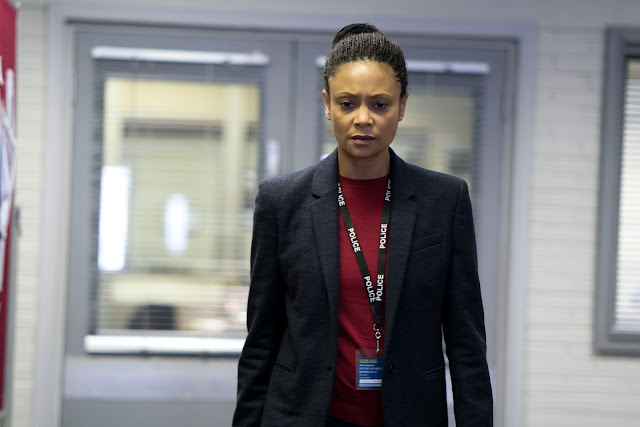 This series' big questions all revolved around DCI Roz Huntley (Thandie Newton) and particularly how entrenched she was in the network of corrupt police officers which have loomed large over the series since its inception. This was certainly something that AC-12 were desperate to discover, however they found themselves on the outside looking in after Hilton (Paul Higgins) had served Hastings (Adrian Dunbar) with a section-15 notice at the end of last week's episode. Meanwhile, having been wrongly charged with the murder of Tim Ifield (Jason Watkins), Roz's husband Nick (Lee Ingleby) awaited questioning at Polk Avenue station. At the request of his lawyer and friend Jimmy Lakewell (Patrick Baladi); Nick was being questioned by the seemingly neutral Murder Squad team of DCS Hargreaves (Tony Pitts) and DS Railston (Aiysha Hart) whilst the anti-corruption investigation into Roz was being handled by Jamie (Royce Pierreson) who had jumped from AC-12 to AC-9. It was due to the prior relationship that Steve (Martin Compston) had with Railston that allowed he and the rest of AC-12 to view the tapes of Nick's interviews which in turn meant they could start to plot Roz's movements on the night of Tim's murder. I really enjoyed seeing AC-12's painstaking work; ploughing through footage of traffic cameras just so they could seek out Roz's vehicle. Even when Kate (Vicky McClure) made a link between the MRSA-related wound on Roz's arm and deposits in Tim's nose it wasn't enough to link the former to the latter's murder. Thankfully, Steve and Kate finally devised a theory that Roz would most likely dump any evidence of Tim's murder somewhere she knew. This location turned out to relate to an earlier murder investigation that Roz had led where the boyfriend of the victim had dumped his bloodied clothes which were later randomly found by a member of the public. Although we knew at this point Roz would be arrested it was an interesting twist that she wanted AC-12 to conduct the interview and even more puzzling that she wanted Lakewell to represent her. In past reviews, I've praised Jed for the plotting of these now iconic interview scenes but equal recognition must go to director John Strickland whose work behind the camera helps to build up tension in these situations. Every revelation is met with a close-up reaction shot which helps to communicate the character's feelings whilst bursts of Carly Paradis's excellent score enhance the tension even more. Mirroring Roz's last interview with AC-12 this was once again a scene of two halves with the first seeing DCI Huntley finally admitting the truth. She did indeed murder Tim, although it was accidental after both were struggling for the saw that he was going to use to cut up her body. Roz's teary confession was brilliantly played by Thandie Newton as I certainly felt sympathy for this woman who was simply trying to salvage her career. It was the cover-up that the audience had witnessed over the past weeks which was Roz's real crime especially the fact that she attempted to sully the good name of AC-12 as well as the reputation of the loveable Ted Hastings. Newton similarly excelled in the second section of the interview in which she turned the tables on Lakewell and shocked AC-12 with her own incriminating evidence. Earlier in the episode we'd see Roz enlist the help of her right-hand woman Jodie (Claudie Jessie) to investigate telecommunications data on the day of Steve's attack. This data revealed that prior to calling his wife Nick contacted Lakewell regarding his worries about Steve's investigation. This led Lakewell to make a call on a burner phone to another number which in turn made a call to a third phone. The third phone was revealed to be the one that was used by the balaclava man who attacked Steve, kidnapped Hanna and planted evidence in Michael Farmer's home. The larger revelation was that the number of the second burner phone was the same one that was on the napkin Hilton handed to Roz after making several inappropriate offers to her. Whilst we all expected both Hilton and Lakewell to be dodgy, I personally didn't think they'd be working together to make Roz the latest foil for the central network. Using her ambition and need to prove herself, Lakewell and Hilton were able to offer up the vulnerable Michael who could easily be charged with the Operation Trapdoor crimes. Whilst these interview scenes were brilliantly played by all involved the subsequent action scenes in AC-12 were a little harder to swallow. Whilst last year's final action scenes between Kate and Dot were similarly far-fetched they worked due to our investment in the characters and the desperation of the latter to evade arrest for as long as possible. Here it was Jamie, under orders from Hilton, who was the one who turned vigilante; attempting to abduct Lakewell from AC-12 so he couldn't testify against the corrupt network. We were meant to buy the fact that Hilton had brainwashed Jamie in a similar way he had to Roz, however we had to take his word for this as we'd never seen them on screen together. Furthermore, I don't think we'd spent enough time with Jamie to really sympathise with his need for career progression or his attempt to prove himself in the eyes of Hilton. For this scene to really work, I feel that Jamie should have been introduced at the start of this series and that Hilton should have been the one to suggest he join AC-12. As it was Jamie felt like more of a plot device than anything else and it's a shame as Royce Pierreson is a great actor who deserved to be featured in the series more than he was. It was the aftermath of this scene that was more interesting as new suspicions surrounding who the top dog of the corrupt police officers truly was. I felt that Hastings was too easy to be satisfied with the fact that Hilton was the 'H' officer who was implicated in Dot's dying confession. It was also interesting that Kate wanted to investigate Hilton's apparent suicide more using the fact that the location and method of death were almost identical to that of social worker Oliver Stephens-Lloyd in the last series. The looks that Kate gave Hastings during this episode's final scenes suggested that she suspected that he wanted to clean up this investigation as soon as possible even though there were several loose ends. Whilst I'm unwilling to believe Hastings is part of the dodgy network, Mercurio appears to be planting doubt in the audience's minds which I'm sure will carry over into the next series. In my review of the last episode I did worry that there was a lot of story to wrap up in an hour and even though all involved did a good job parts of the episode felt a little rushed. I personally thought that we were going to get a flashback to the night of Tim's death to see what really happened between he and Roz. Although hearing her confession would have been good enough for some, I would've been more satisfied seeing the events on screen even if we didn't see that fatal blow to the neck. Of all the episodes this was the only one that felt rushed and I believe that if Mercurio had been allotted another fifteen minutes the episode would have a much better pace. But that's a minor quibble in what was a gripping final episode in which the audience learnt that a lot of the answers were under their nose the entire time. It's going to take too long to praise everyone involved in this episode but special mention must go to Thandie Newton whose performance was brilliant here. I do feel that she'll maybe cameo in the next series although its a shame about that whole manslaughter case as that final interview proved that Roz would be an asset to AC-12. Adrian Dunbar was similarly brilliant here as he made even a long-term fan like me that Hastings may not be as innocent as we think he is. However, that's a theme that I'm looking forward to exploring in Line of Duty's fifth series which can't come quick enough in my opinion. 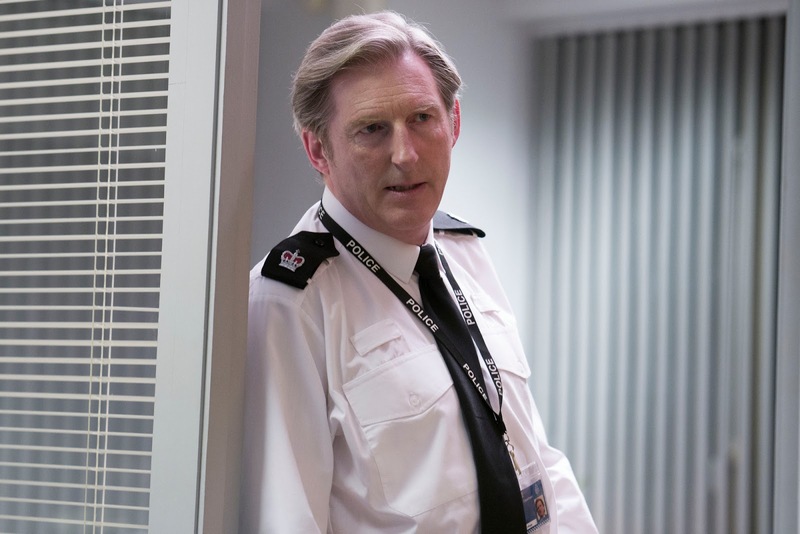 Ultimately, I feel this series of Line of Duty has been excellent in both satisfying new viewers and those who've stuck with the drama since its first run in 2012. Through presenting a gripping plot alongside realistic characters, Mercurio has given BBC One its most talked about drama of the year so far and it's clear from the final scenes of this episode that it's a drama that could realistically run as long as Mercurio wants to keep writing it. "Roz enlist the help of her right-hand woman Jodie.."
Nice review. I am going to miss reading them every week! I preferred the ending to this series more than the one from series 4 although it did feel slightly rushed in some places. There are not enough shows that treat their audiences with intelligence and that don't feel the need to spell everything out for them. Line of Duty really excels in those regards. Thandie Newton was amazing in this. She was so cold and calculating but at the end I still felt some sympathy for her. Not too much though! She may not have known that Lakewell framed Farmer but she still should have exhausted all avenues of the investigation and there were too many questions for her to so easily rule out other suspects. Also the fact she was willing to frame an innocent young woman in the Ifield murder was terrible. In regards Hilton I find it hard to believe the man would have taken Roz's rejection so easily. He must have been furious that she used him and yet this never seemed to become an issue. As for the Balaclava man and the criminal network explanation I have some questions about that. I thought Operation: Trapdoor concerned the abduction and killing of young women? If the criminal network angle is the truth then should there not be all kinds of different victims? Also why the pressing need to stop Arnott from getting to Huntley? He was subsequently questioned anyway and so the attack on the wee man seems like overkill. I terms of Roz hiding the evidence until things had cooled down wouldn't she have attempted to go back and destroy it at some point between episodes 3-6? She would have had opportunities to do so over the course of the episodes. Sorry I meant to say I liked the ending to this series more than the one to series 3. There is of course no season 5 yet. I will put it down to wishful thinking!